HireLabs Inc. is the leading innovator of pre-employment testing services, utilizing the latest research in the HR industry. HireLabs’ goal is to streamline and simplify the HR decision-making process to maximize talent alignment while minimizing company costs. HireLabs partnered with the US Department of Labor and Stanford University to create efficient and effective employment assessment instruments. Through its revolutionary “Occupational DNA” intellectual capital, HireLabs has become one of the leading assessment companies in the world. The system is highly customizable and can provide assessment for more than 5,000 different job positions. 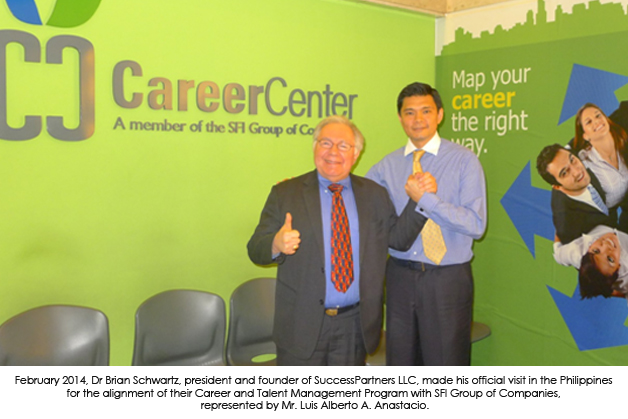 Profiling Through SuccessPartners advanced career mapping tools. Success Partners is the first digital mentoring and career coaching center that aims to help people recognize their career strengths through an interactive career mapping system. Developed by Dr. Brian Schwartz, the career mapping system assesses personalities and skills and identifies the right career fit for students and professionals.